Well what a weekend! A huge contrast to the previous few with virtually no sea or swell and only light winds conditions were ideal and have been so for most of the week. 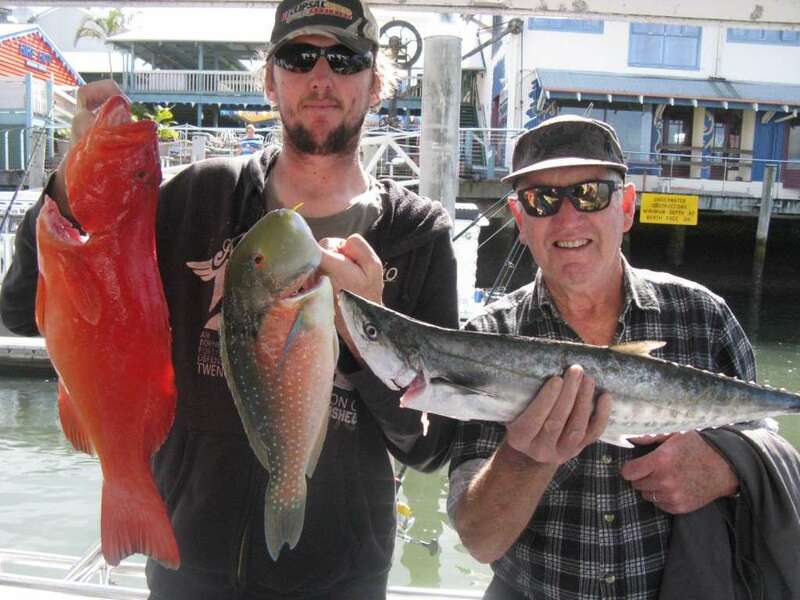 We got plenty of fishing in, doing full day charters to the Barwon banks and half day charters to Murphy’s reef catching the mixed bags of reef fish the sunny coast is known for. From coral trout and mackerel to snapper and big tusk fish we are so lucky this time of year and the mix of colours are amazing. The picture below is from Fridays’ half day showing a 4kg coral trout and 2kg tusk fish and school mackerel. So from our half days on Murphy’s reef species caught are sweetlip, squire, coral trout, tuskfish, school mackerel, maori cod, hussar, moses perch and pearl perch. This reef has been firing for a while now and with the inner and outer gneerings right next door it gives plenty of options for all types of fishing. We have caught almost everything in this area from marlin and mackerel in summer to big snapper and pearl perch in winter. The picture below shows off a maori cod about 3kg, well done Stephen very good eating! The Barwon banks’ is a regular go to area on the full days, this reef is huge. Over the past week we have fished the middle to northern section and depths from 28 to 55 metres the diversity here never ceases to amaze. 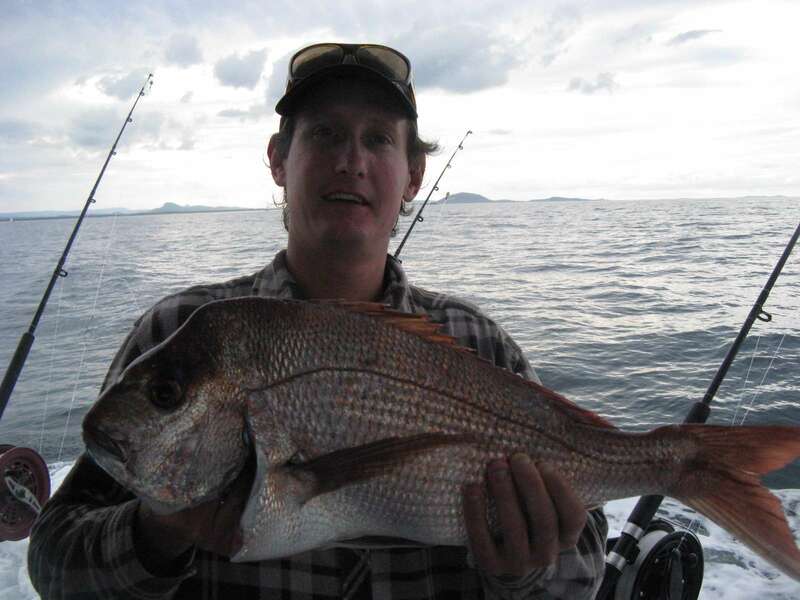 Species caught here were tusk fish, fusilier, red throat emperor, maori cod, moses perch, pearl perch, hussar, trevally, pearl perch, coronation trout and squiry-snapper to 3.5 kg which the photo is shown below. 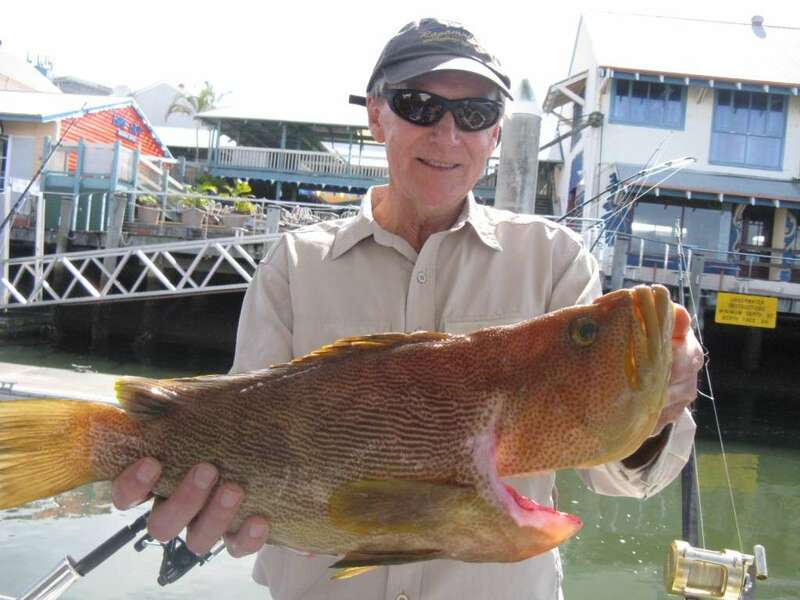 Still no big 8-10kg trophy snapper boated yet but it will be any day now and with good numbers of squire now is the time to put some hours in on the water. If you would like to join us for as trip head over to our contacts page and flick us an email or call to see what’s available and we will get you landing your own top catch until then HAPPY HUNTING!!!! !